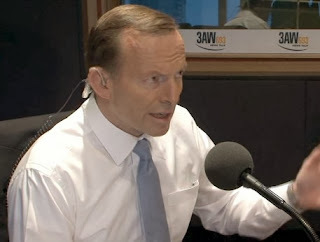 In a radio interview with Neil Mitchell, Australian Prime Minister Tony Abbott said that the Head of the UNFCCC, Christiana Figueres, is "talking through her hat" for connecting the NSW bushfires with climate change and that "these fires are certainly not a function of climate change, they are just a function of life in Australia." It seems Mr Abbott is in denial on all the wildfire research done on the increase in fireweather and increase in frequency and intensity in bushfires both in Australia and globally. 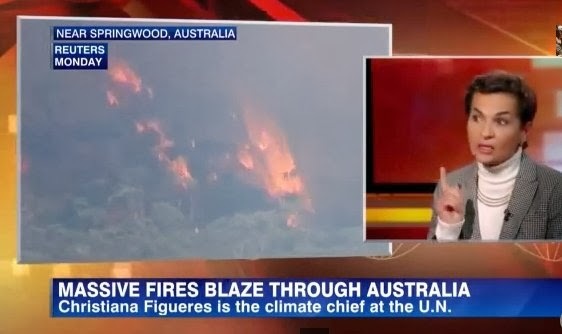 Graham Readfearn has also written an excellent article on Tony Abbott's denial of bushfire and climate change research for Guardian Australia: Australian prime minister denies 25 years of research linking climate change to bushfires.